Send them a toast of good health by delivering our Enticing Mixed Dry Fruits consisting of Raisin, Cashew, Almond and Khurmani 1/2 Kg. (Gross Weight). 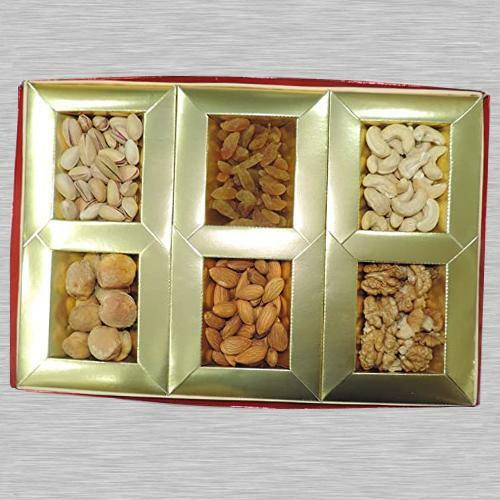 Mixed Dry Fruits 1/2 Kg. (Gross Weight) (Raisin, Cashew, Almond, Khurmani) - A nicely wrapped pack of mixed dry fruits which will surely add light to any festival.